Hate them if you must, but homelessness, vacation rentals and unlicensed care homes are natural responses to problems plaguing the islands. When I taught at the University of Hawaii, faculty members constantly had to figure out how to get our work done given the crazy rules and chronically awful conditions. So we did workarounds, using initiative to bend the rules. If you did this, you were not a rule violator. You were a hero, much more a Bonnie or Clyde than a Paul Manafort. Cleverness, heroics and initiative are definitely not the attributes people tend to ascribe to three groups in the news lately, namely homeless people, unlicensed elder health care operators and property owners offering vacation rentals. All those are typically considered greedy, irresponsible rule-breakers. Violators. But are they really? What if we consider what they do as workarounds rather than violations? Nobody wants to see homeless encampments like this one on Iwilei Road in June. 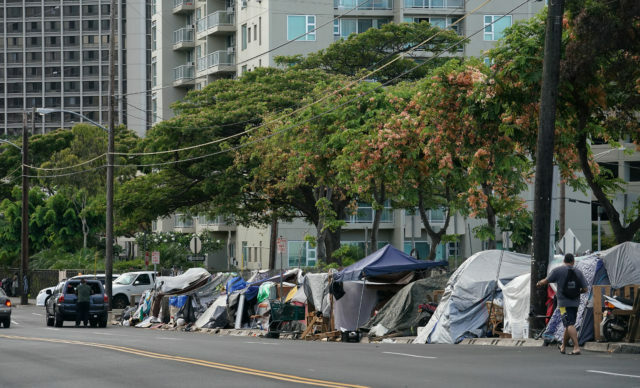 But the people living here were working around Hawaii’s high cost of living and housing shortage. There are good reasons to do this. Survival in Hawaii, with its exhausting cost of living and its nation-leading lack of affordable housing, requires one workaround after another, like side jobs, keeping a pakalolo patch, taking care of a couple of infants in your home, renting out rooms, remodeling your house in order to take in your children and grandchildren, finding shelter outside the legally regulated marketplace. That includes a lot of people you know, right? All these life-survival challenges require initiative. They also frequently make — or force — people to bend the rules because the alternatives are grim or out of reach. When public officials address homelessness, they talk about trespass, filth, improper use of public facilities and uncooperative behavior. And they are right. It is all of those. But more fundamentally for a large number of houseless people, living on the street is a workaround. They violate the rules because they can’t afford not to. We people with homes may not feel comfortable with the initiative they use to deal with this problem or the consequences it creates. They can’t afford what it would cost to be law-abiding and live in a modest two-bedroom apartment that on average requires about a $37 an hour wage to rent while the state’s median wage is well under half of that. We people with homes may not feel comfortable with the initiative they use to deal with this problem or the consequences it creates. I know I don’t. But it is essentially a workaround, a way of dealing with a fundamental, intractable situation the only way they can. Judging from the huge chasm between the state’s affordable housing goals and the amount that has recently been built, that problem is not just durable. It’s likely to be permanent. The state can’t even find a space for its much-ballyhooed homeless safe zone. And in the face of a permanently hopeless Plan A, people turn to Plan B. The cops and sheriffs kick us out of one place, well, we have to find another that is pretty much just like that one. Having rental property, legal or otherwise, has always been a way for average folks to survive in Hawaii: Stick an odd-looking unit on top of a two-story walk-up (take a look at Moiliili), or make a tiny “studio” apartment out of one room in your townhouse. These additions and reconfigurations may be legal. Often they are not. Now, sure, everyone renting out a vacation rental is not average, but face it: most Airbnb landlords are not exactly plutocrats. Renting property is a second job, a way to afford house payments or avoid taking a side job in Waikiki or Wal-Mart. For some it is a way to make some money while staying home with their young children. Of course there are other competing values involved like neighborhood preservation. But with all of the anger about limited parking and vacation tenant noise, we should not forget the fundamental economic problem that incentivizes vacation rentals, legal or otherwise. When it comes to vacation rentals, transgression to some neighbors is survival to others. If you think affordable housing is a problem generally, the elderly housing problem is even worse, especially for frail old people. Hawaii has a severe shortage of nursing homes. The ones we have cost much more than the U.S. average. Compared to the mainland, Hawaii has more old people who are sicker than the capacity of their living facilities to take care of them because, quite simply, they have nowhere else to go. Attention please: This problem is going to get worse. The percentage of elderly in Hawaii is increasing far faster than the state’s capacity to house and care for them. So, no surprise, some new workarounds have emerged, particularly an arrangement where an old person rents a room in a home and signs a separate arrangement for health care. Often these homes (they tend to be in someone’s house) are not licensed by the state, so in the eyes of the Department of Health and now the state attorney general, they are violators. But in the eyes of care operators and their clients, they are workarounds, a way to deal with the housing shortage and avoid the cumbersome, inapplicable licensing process. The percentage of elderly in Hawaii is increasing far faster than the state’s capacity to house and care for them. So jump onto the rule-making, legalistic bandwagon if you like. 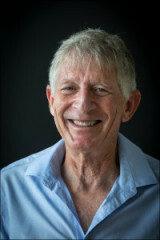 But don’t be blind to these facts: (a) elderly housing is extraordinarily scarce; (b) affordability is even a greater problem for the frail elderly; and (c) however protective licensing is in theory, in practice it stymies supply and depends on a Department of Health bureaucracy that is turtle-slow with a monitoring process that is creaky and miniscule. Many of you will criticize me for ignoring abuse, greed, licentiousness, disruption and squalor. Don’t bother. I understand, and I sympathize. I also understand that the perspectives that view these people solely as barbarians at the gate require a belief in a fantasized alternative universe where housing is plentiful, bureaucratic regulations are timely and effective, and vulnerable individuals can meet their basic needs. And where things will get better anytime soon.